The Osher Center for Integrative Medicine offers research funding opportunities that will help move medicine toward a new model of wellness and healing. 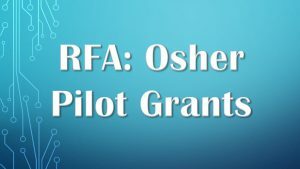 The Osher Pilot Research Grants provide seed grants to support collaborative projects consistent within the Osher Center thematic areas of musculoskeletal health, healthy aging, and mind-body exercise. The purpose of this program is to provide early funding for innovative projects in the field of integrative medicine including basic, translational, and clinical research. 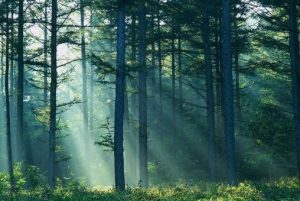 Funds will be awarded on a competitive basis, as pilot grants of $25,000 to $50,000, with up to four grants available each annual funding cycle. Applications undergo a formal peer-review process and will be ranked for funding priority based on strategic and scientific merit. All members of the Harvard Medical School (HMS) research community with a rank of instructor and above are invited to apply. Individuals may serve as the PI of only one proposal. The mission of the Osher Center for Integrative Medicine is to combine research, education and clinical care to move medicine toward a new model of wellness and healing. Therefore, Pilot Projects will be evaluated primarily for their potential to advance the strategic vision of the Osher Center through collaborative, cross-disciplinary innovative research related to integrative medicine. 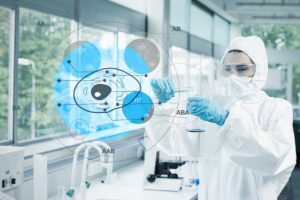 Projects must be scientifically meritorious and aligned with the one or more of the following strategic themes: musculoskeletal health, healthy aging and mind-body exercise. Projects should not be merely an extension of ongoing work but rather novel ideas/programs which require seed funding. Projects creating new collaborations between PIs, research groups, or institutions within the HMS community will be given priority. Priority also will be given to projects that are translational and/or integrate across physiological systems. From the letters of interest (LOI), approximately 10 applicants will be invited to submit full applications. LOIs will be reviewed by an ad-hoc Osher Center Pilot Grant Review Committee (chaired by the Osher Center Research Director). Full applications undergo a formal peer-reviewed process and will be ranked. Ranked proposals will be discussed with the Osher Center Advisory Committee, and final decisions will be announced on June 15th, 2019. Written critiques will not be provided. Recipients will be obligated to provide a progress report to the Osher Center at six months, and an oral presentation at the end of the funding period (one year), or at the Osher Integrative Medicine Network Forum, or upon completion of the study. Grantees will notify the Osher Center when other grants are received as a result of pilot funding. Grantees will acknowledge the Osher Center in publications resulting from seed grant support and will notify the Osher Center when such papers have been submitted. The intention of the Osher Center Pilot Research Grants is to foster multidisciplinary collaborative projects across institutions. While these limited funds are intended to cover research, rather than administrative costs, we understand that some institutions require a certain proportion of grants to cover indirect and/or modified direct costs. 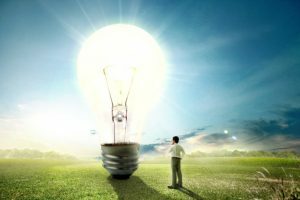 The Osher Center pilot award will allow up to 15% of the total award to be used as indirect and/or modified direct costs, including any indirect costs associated with sub-awards. We encourage applicants to work with their respective parent and subcontracting institutions, if applicable, to reduce administrative costs if possible so that the maximum amount of the awards can be used for the research projects. Send the completed form, by email, to Aterah Nusrat at [email protected] by Wednesday, March 1st, 2018. The Osher Center funds pre-doctoral fellowships in Integrative Medicine research. The fellowship program is open to Harvard Integrated Life Sciences (HILS) graduate students1 and provides $10,000/year to cover part of the student’s costs (to include stipend and/or supplies), as well as a $2,000 travel stipend; the fellowship is renewable for three years. Under the direction of Dr. Gloria Yeh, Assistant Professor of Medicine at Harvard Medical School and a clinician investigator in the Division of General Medicine and Primary Care at Beth Israel Deaconess Medical Center (BIDMC), the program allows participants to complete a Master of Public Health degree from the Harvard School of Public Health, followed by a year of protected time to complete innovative research projects. This highly successful program has graduated 20 post-doctoral (predominantly MD) fellows, most of whom have gone on to positions in academic medicine. The training program touches all of the major HMS-affiliated hospitals, with fellows past and present conducting research studies at different institutions based on their areas of interest. The Osher Center offers mentorship for medical students through the Harvard Medical School Scholars in Medicine Office. The Osher Center is accepting proposals for the 2018-2019 Scholarly Project. Funding of up to $30,000 per student (no mentor match required) is currently available for one student for one year. Medical students interested in participating in this program should contact the Osher Center at [email protected]. Integrative medicine is concerned not only with the health of individuals, but also with the health of communities. Boston is a vibrant city that benefits from staggering academic, artistic and business resources, but also suffers from the stressful side effects resulting from the sheer intensity and concentration of these very resources. Stress at a community level impacts the health of individuals, and can reduce quality of life. Although we are making great strides in understanding and mitigating the impact of individual stress, it is also important to translate and apply this knowledge at the level of communities. Furthermore, with the increasing frequency of extreme weather eventsimpacting Boston’s communities, we invite students to explore Boston’s stress landscape in the context of climate change. A truly integrated approach to addressing stress at a community level in Boston will require a joint effort. Community-based effort will be needed, led by a multidisciplinary cadre of philanthropically-minded individuals, foundations, and/or early stage business investors who are interested in supporting initiatives related to “Improving Boston’s Health” through interrelated areas including health care, education, government, transportation, industry, housing, arts and business. 3. stress-related health problems in the Boston neighborhoods of Roxbury, Jamaica Plain & Back Bay. We conducted focus groups of neighborhood residents to unpack the types of stress that were present in each community. In combination with a literature review of social determinants, these insights were used to develop a survey to assess the type and magnitude of neighborhood stressors, stress-related behaviors and health problems that exist in the physical space of the neighborhoods. Residents were surveyed in primary care offices and community health centers in respective neighborhoods. Surveys consisted of Likert-type scale responses. For each neighborhood stressor and stress-related health problem, the mean response was calculated and compared across neighborhoods. 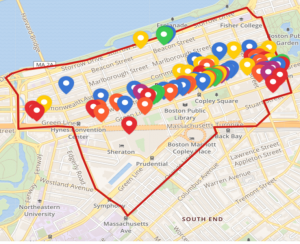 There is marked contrast in stress landscapes, stress-related health problems and negative behaviors between these three Boston neighborhoods despite their geographical proximity. 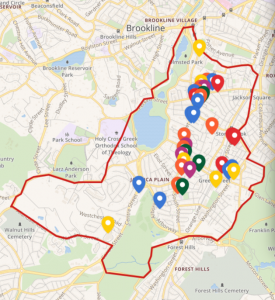 There is a dissonance between what residents of Roxbury perceived as stressors and what they perceive to be the stress-related health problems and negative behaviors in their neighborhood, which suggests a blind spot in the pathway to disease manifestation and prevention. Our results suggest that the health of communities could benefit from tailored, neighborhood-level interventions that aim to reduce the unique stress burden that is present in neighborhoods. Further work is needed to elucidate how the unique stress landscape of a neighborhood can influence the health outcomes and behavior of its residents. Conyers FG, Langevin HM, Badger GJ, and Mehta DH. 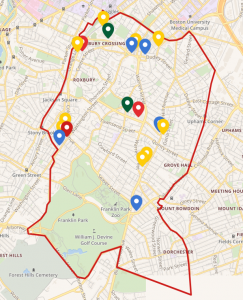 Identifying Stress Landscapes in Boston Neighborhoods. Global Advances in Health and Medicine. (2018) doi:10.1177/2164956118803058. McEwen BS. Protective and Damaging Effects of Stress Mediators. New England Journal of Medicine. 1998;338(3):171-179. Unger E, Diez-Roux AV, Lloyd-Jones DM, et al. Association of Neighborhood Characteristics With Cardiovascular Health in the Multi-Ethnic Study of Atherosclerosis. Circulation: Cardiovascular Quality and Outcomes. 2014;7(4):524. Zimmerman E, Evans, B., Woolfe, S., Haley, A. . Social Capital and Health Outcomes in Boston. Virginia: Virginia Commonwealth University;2012.